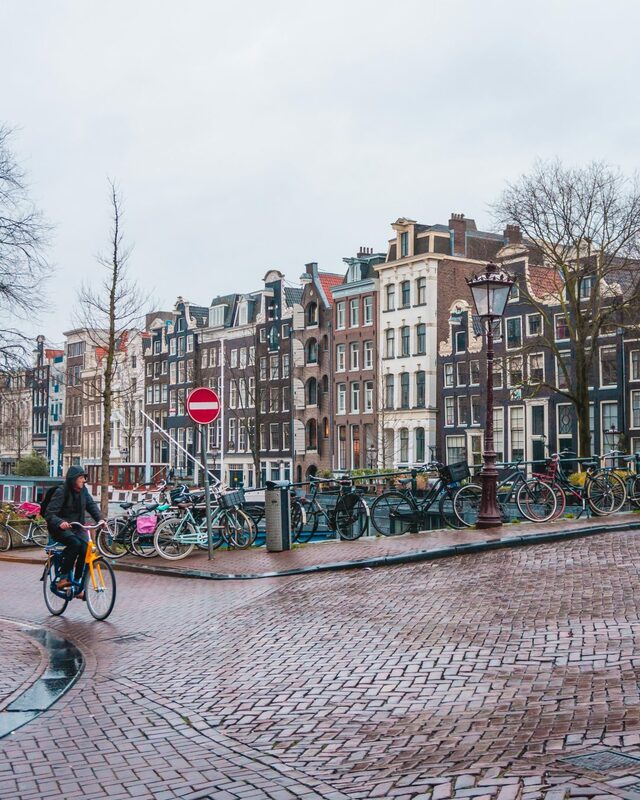 After my third visit to Amsterdam this January, I realised that I’ve never written any posts about the city! I still have so much more of the city to see (and always will!) 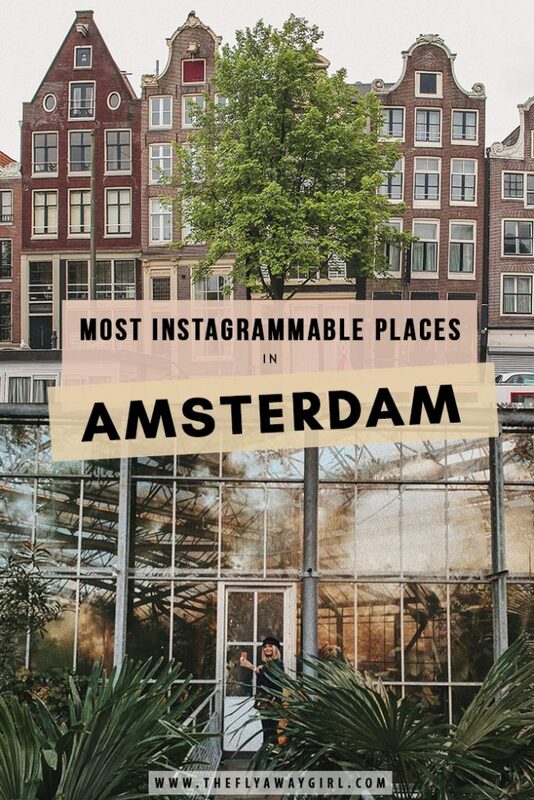 but I have put together my list of the best photo spots in Amsterdam that I absolutely love. 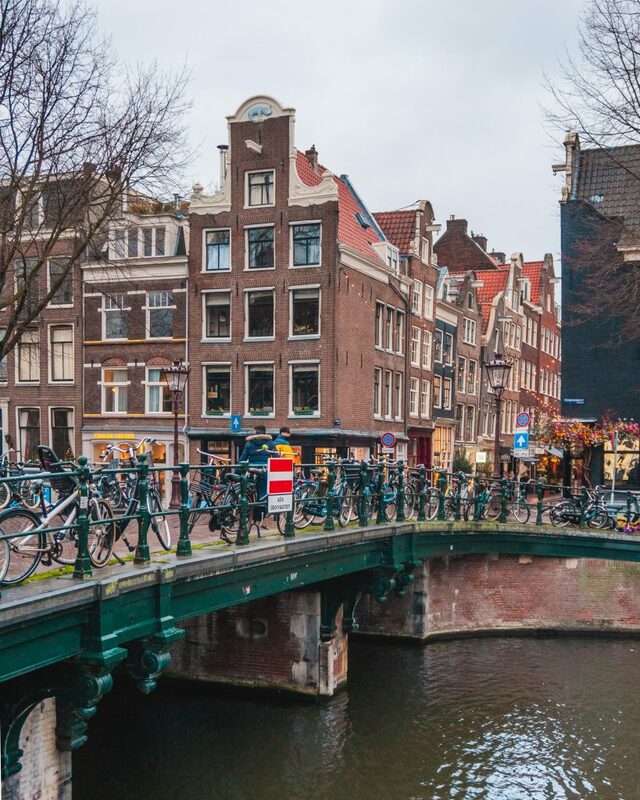 The capital of The Netherlands has always been known for its ‘progressive’ side – to the coffee shops where you can smoke a joint or eat a hash brownie or to its infamous Red Light District. The capital is also home to beautiful architecture, photogenic canals and lots of great coffee! 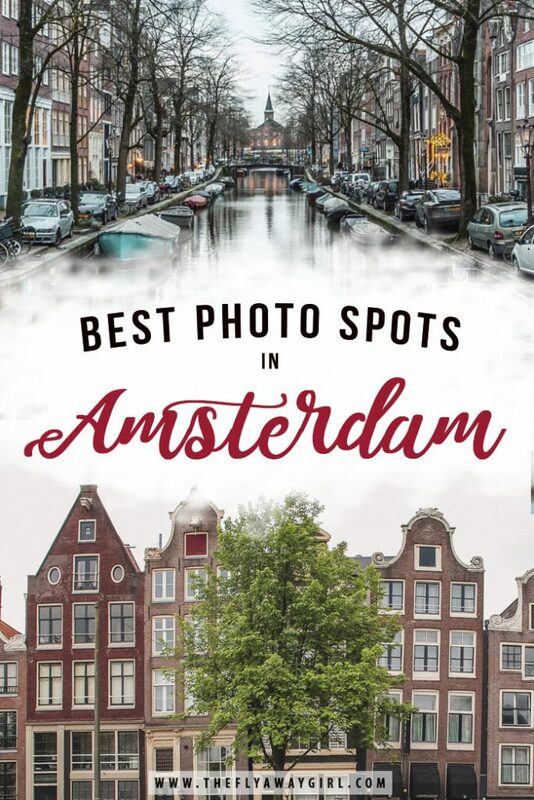 Here are the best photo spots that you can’t miss while in Amsterdam! Don’t forget to book a hotel or an Airbnb – click here for £25 off your first Airbnb booking! Don’t book in GBP? Click here for a €28 discount or $32 discount instead! 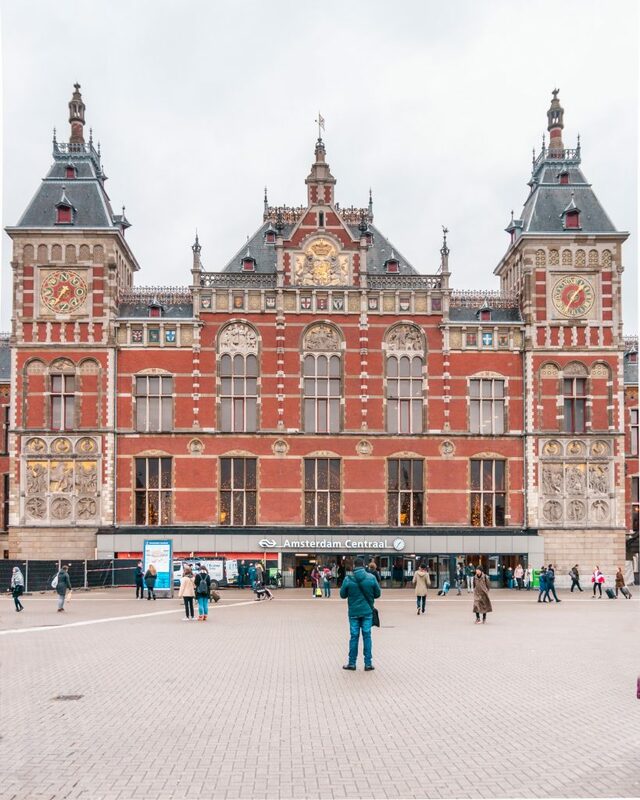 Every day more than 250,000 people go through Amsterdam Centraal station. The station was designed by Dutch architect Pierre Cuypers and opened in 1889. 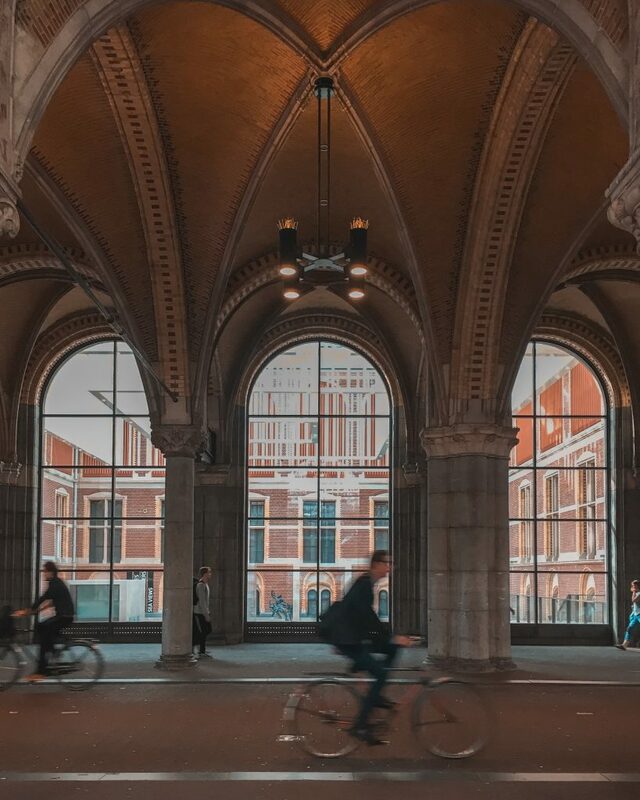 The beautiful Gothic Renaissance Revival station building is perfect for one of your first photos in Amsterdam! If you’re thinking that the central station somewhat resembles the Rijksmuseum, you’d be right! Cuypers also designed the Rijksmuseum, which construction started on in 1876, and the design of the station strongly resembles the museum. Damrak is an avenue and a partially filled in canal that runs from Amsterdam Centraal all the way to Dam Square. The most instagrammable part of Damrak is the ‘dancing houses’ – these houses are tall, narrow and crooked and are the most iconic houses in all of Amsterdam. Also, stop off at Beurspassage to see the Amsterdamse Mozaïek ‘Oersoep’, an amazing aquatic-themed mosaic of glass and other materials. The passage connects Nieuwendijk and Damrak and definitely deserves a look on your way down Damrak! Dam Square is located at the other end of Damrak and is a 10-minute walk away from Amsterdam Centraal. During Christmas, they erect a huge Christmas tree in the middle of the square. There is also a funfair held on the square several times a year, such as on King’s Day. 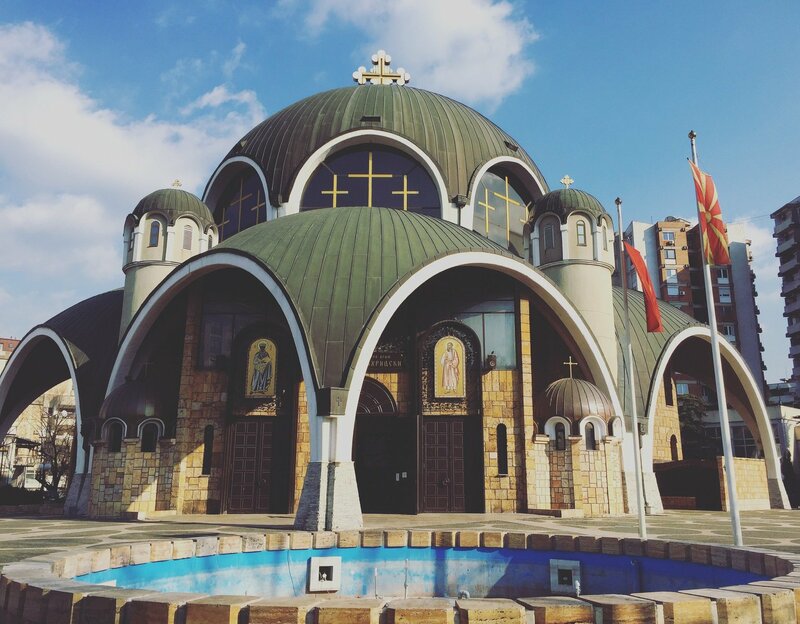 The square began as a market square in around the 12th century and during the 19th and 20th centuries became somewhat of a ‘national’ square, home to large protests and demonstrations as well as big celebrations such as National Memorial Day. 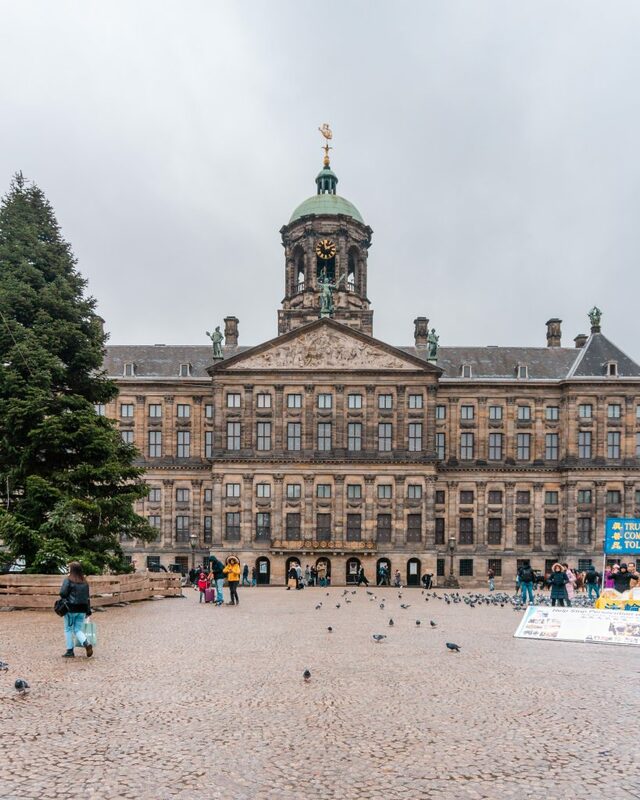 One of the most impressive buildings on Dam Square is shown in the photo below – it’s the Royal Palace! 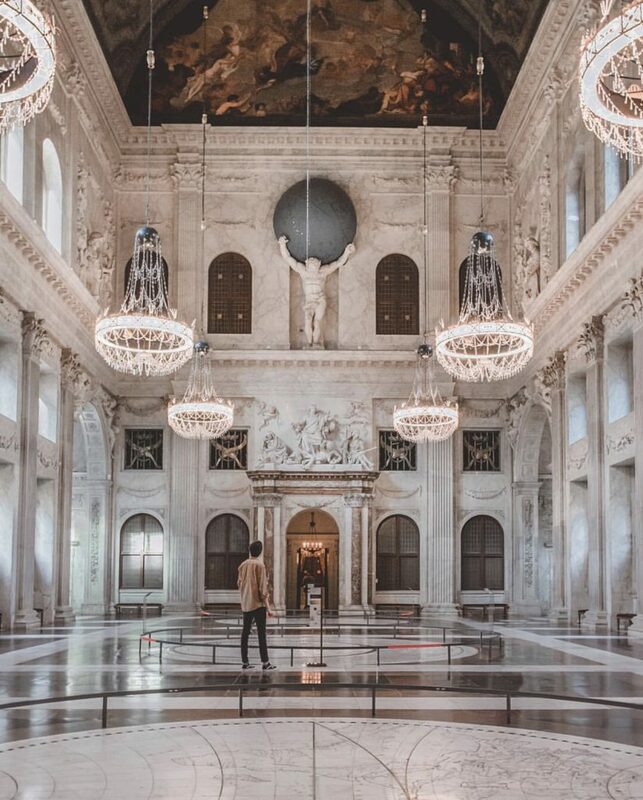 The Koninklijk Paleis is one of three palaces still used by the Dutch royal family and is open to the public when not in use. The Koninklijk Paleis, or Royal Palace, is located on Dam Square. It was designed in the mid 17th century and for its first 150 years, it served as Amsterdam’s city hall (‘Stadhuis’). Since 1808 it has been used as a palace. The interior of the palace is spectacular – the central hall is 120 feet long, 60 feet wide and 90 feet high and has a beautiful marble floor with two maps of the world. The palace website tells you whether the palace is currently open or closed. Entry is €10 for adults, €9 for students and free for under 18s. The Rijksmuseum (“National Museum”) was originally founded in The Hague in 1800 and was moved to Amsterdam in 1808. The current building was designed by Pierre Cuypers and opened in 1885. The Rijksmuseum is home to a collection of over 1 million items from the years 1200 – 2000 and has a rotating display of 8,000 objects. There are some items on permanent display, such as works by Rembrandt and Vermeer. 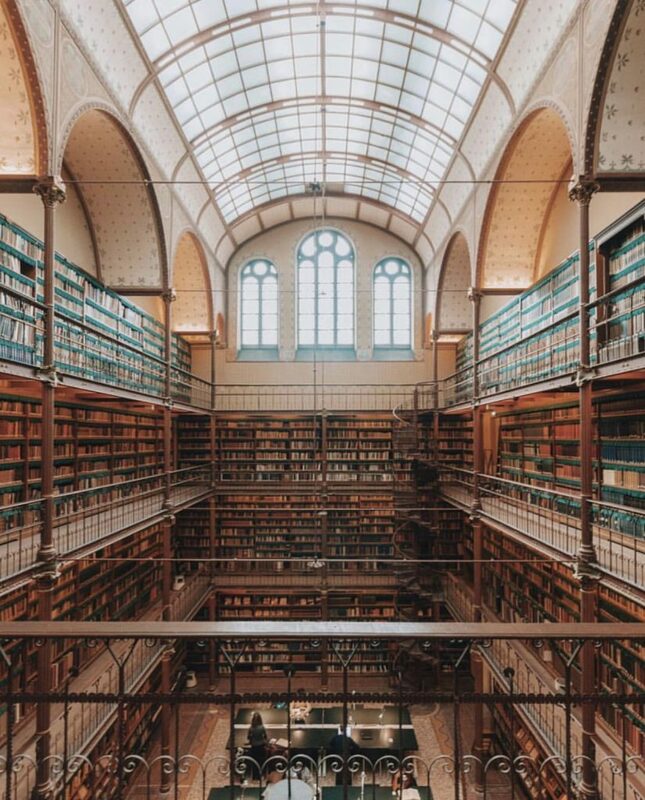 One part of the museum not to be missed is the beautiful Research Library, the largest art history research library in the entire country. This part of the museum is often overlooked in favour of the famous masterpieces but it definitely deserves a visit when you are there! 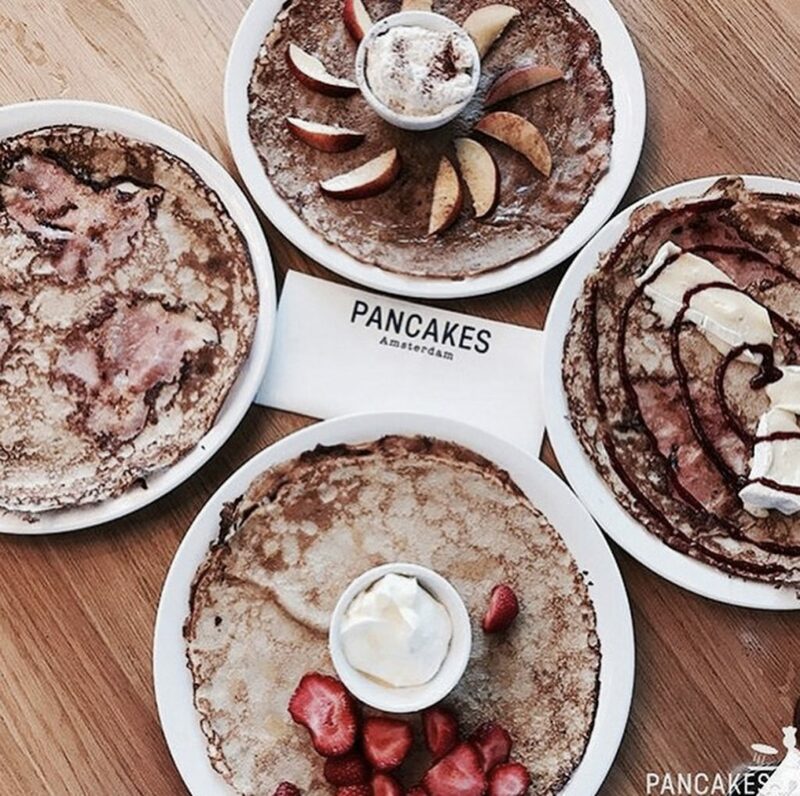 This Instagram-worthy spot in Amsterdam is located in De Pijp, only a short walk away from the Rijksmuseum. 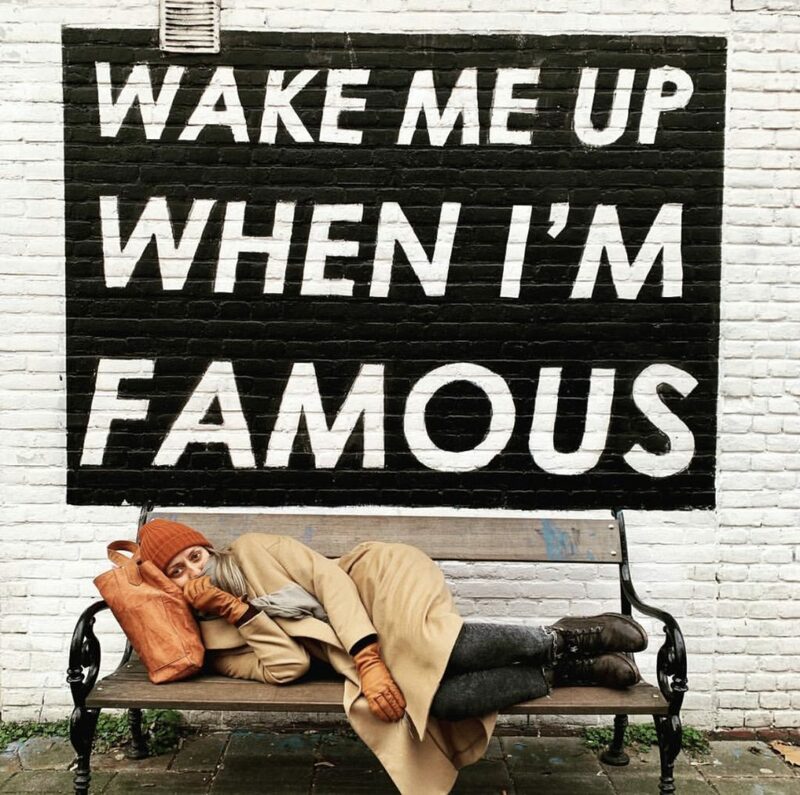 Located at Frans Halsstraat 64, the “Wake Me Up When I’m Famous” bench is an Instagram hotspot in the city. 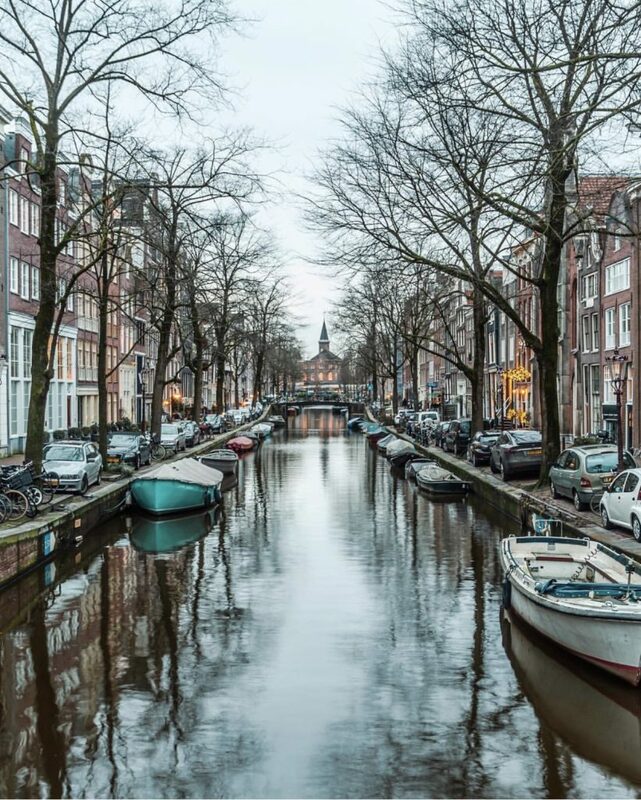 Amsterdam is the city of canals, often referred to as the ‘Venice of the North’. It has 165 canals that have a total length of over 100km! It is also home to 1,281 bridges, which is actually more than Venice (which *only* has 409). I actually have a favourite canal and – more importantly – a favourite bridge. Located in the Jordaan district, I found this spot accidentally when walking back to my Airbnb when I stayed in Amsterdam for New Year’s Eve a year ago. I thought it was so pretty with the little church (I think it’s a church, I’m actually not 100% sure) at the end! Blue hour is a great time to shoot this canal. A long exposure will provide beautiful reflections in the water! I decided to go and find this spot again this January. I hadn’t written down the place so it took a little time wandering until I spotted the church right at the end of the canal! The canal looks even more magical during late evening (golden hour and blue hour), especially if you have a tripod and do a long exposure to capture the reflections in the canal. This is the beautiful Bloemgracht (Flower Canal) shot from Rosa Overbeekbrug (Rosa Overbeek Bridge, or Bridge no. 121). The bridge dates back to 1883 and was named in 2002 after Rosa Overbeek, a character from Kees the Boy (Kees de jongen) by Theo Thijssen. The story took place in this neighbourhood and Thijssen’s house (now a museum) is also located nearby. Order a copy of the first English translation of ‘Kees the Boy’, a novel set in the 19th century in Amsterdam where the world is seen through the eyes of a 12-year-old lower middle-class boy. Prinsengracht or ‘Prince’s Canal’ is one of the three main canals in Amsterdam. 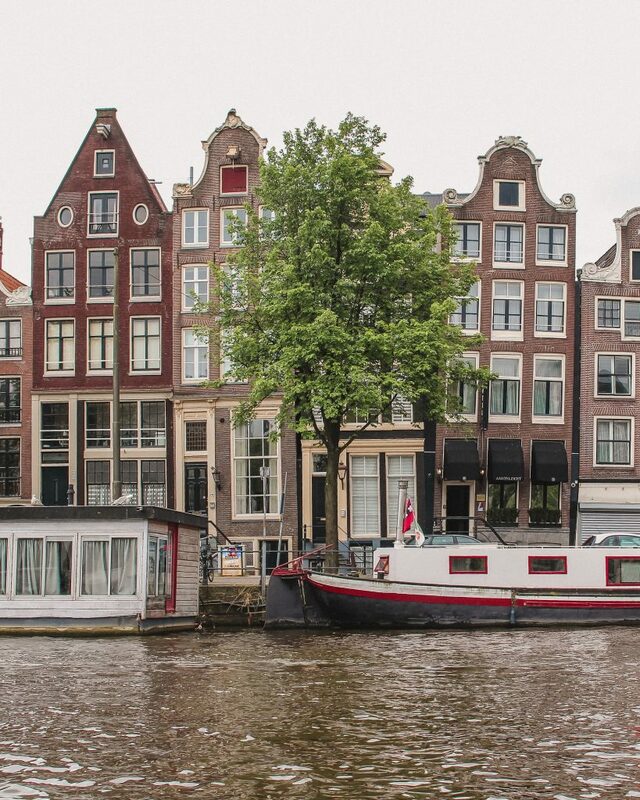 Since 2009, Prinsengracht and the other two main canals have been placed on the UNESCO World Heritage list. 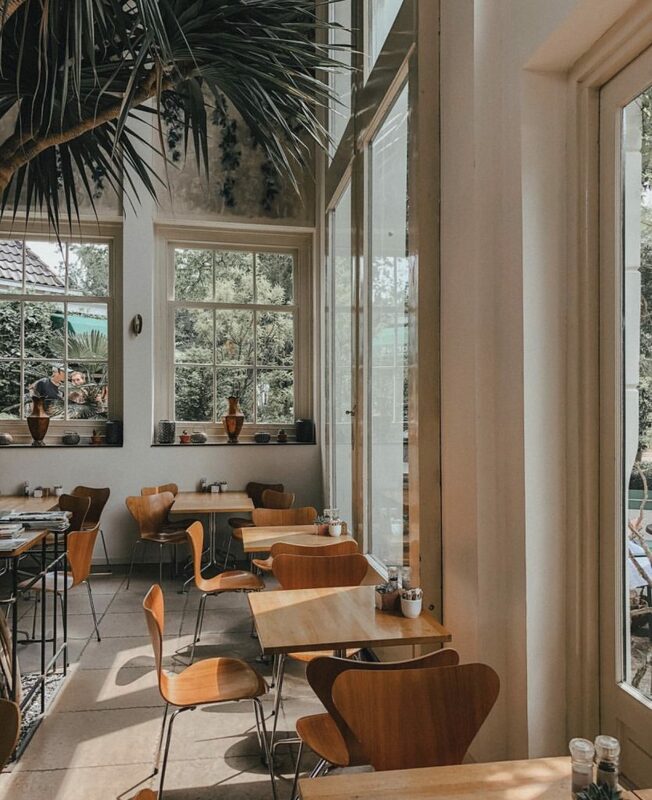 One of Amsterdam’s oldest cafes is located on the bank of Prinsengracht – Cafe Papeneiland, established in 1641. It is also one of the best places for apple pie (appeltaart) and was even visited by Bill Clinton when he visited Amsterdam in 2011! 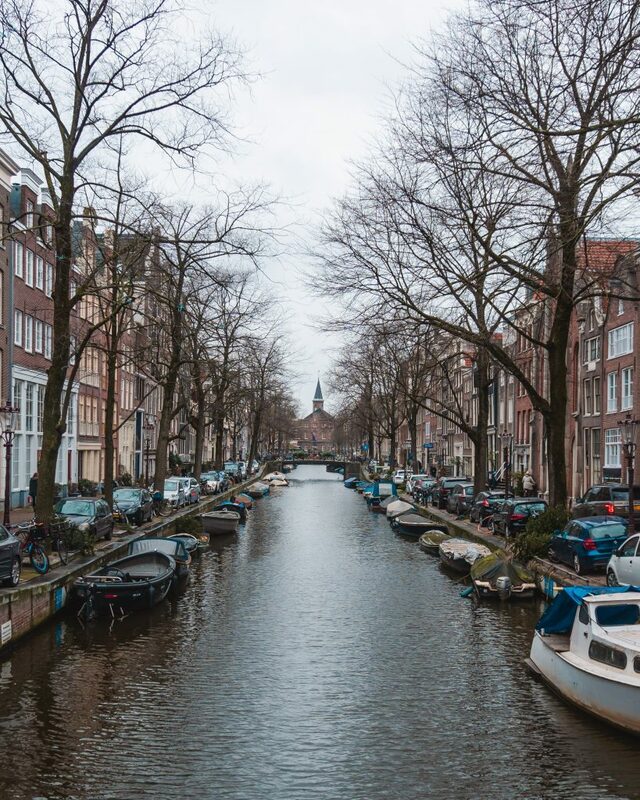 Prinsengracht was named after the Prince of Orange (more commonly known as William of Orange) and is the outermost of the main canals, the bridges across the canal connecting to the streets of Jordaan. There are many notable buildings along Prinsengracht, including the Anne Frank House and Westerkerk (Western Church, Amsterdam’s tallest church). Each year in August, a concert is held in front of Hotel Pulitzer on a pontoon on Prinsengracht – this is the Prinsengrachtconcert. The names come from the types of work carried out there in past centuries, such as the processing of skins. The streets nowadays are home to vintage and designer shops, cosy cafes and boutique showrooms. These small streets are really photogenic and are great to wander for a while! Zevenlandenhuizen (literally ‘seven countries houses’) was the brainchild of banker and politician, Samuel van Eeghen. 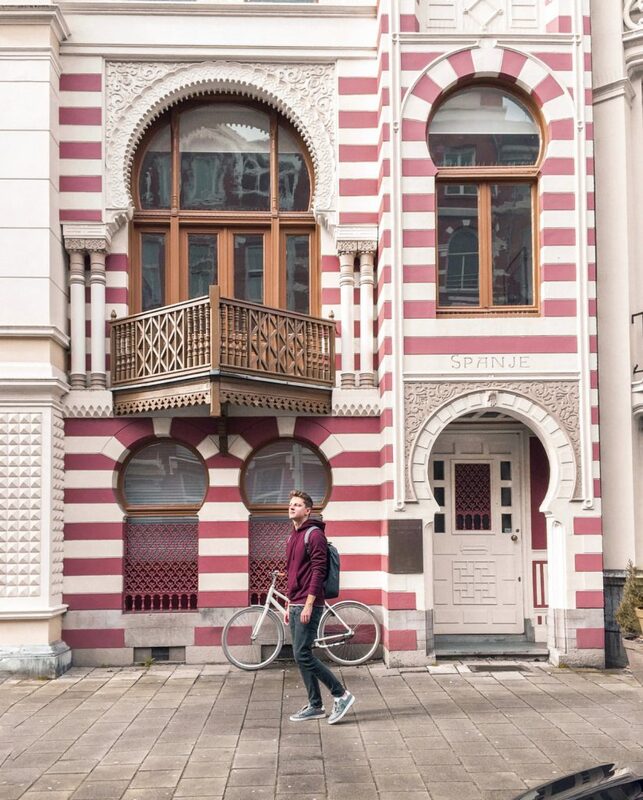 He commissioned the architect Tjeerd Kuipers to design an ‘ode’ to European building styles, and thus the houses of seven countries were created. 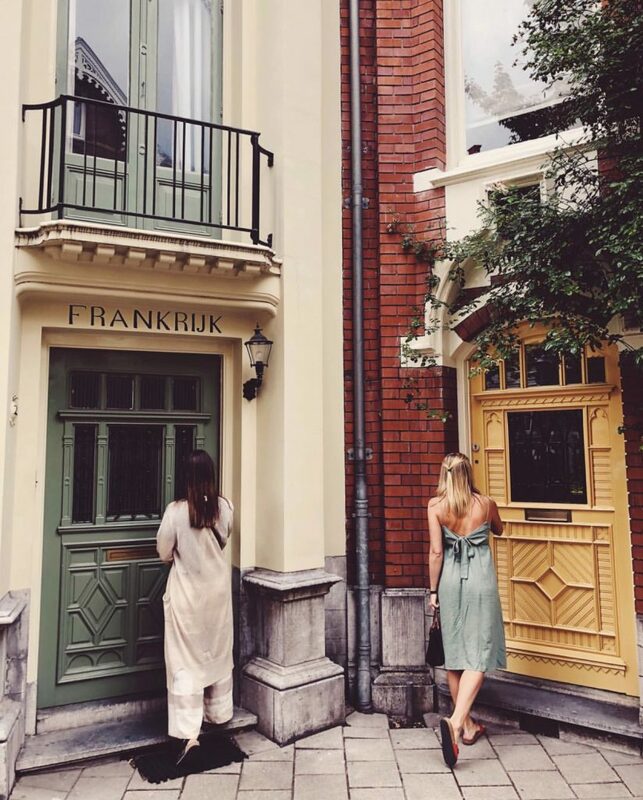 The houses are located on Roemer Visscherstraat and start at number 20 and end at 30A. You can even stay overnight in the English house – it is now a hotel called the Quentin England. 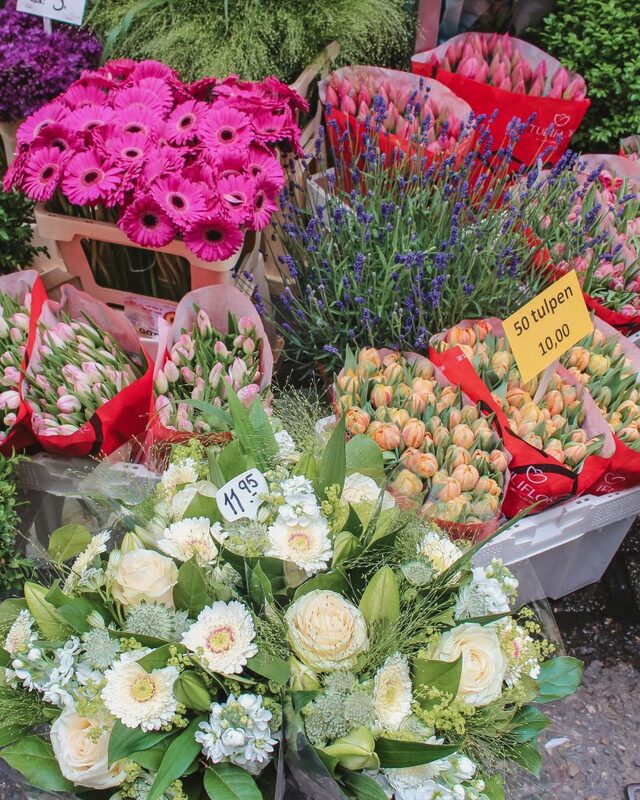 Amsterdam’s Bloemenmarkt (flower market) is easily one of the best photo spots in Amsterdam! It is the only floating flower market in the world and began in 1862 on the Singel canal. While many of the shops are now souvenir shops and gift shops, there are still some stalls selling fresh flowers. The Bloemenmarkt is located on Singel, between Muntplein and Konigsplein and is open Monday to Saturday (09:00 to 17:30) and Sunday (11:30 to 17:30). It’s definitely a great place to go if the weather is a bit grey – the colourful flowers will be sure to brighten up your day! The Bijlmermeer neighbourhood, or Biljmer, is an area in Amsterdam Zuidoost. Bijlmer is an incredibly diverse and multicultural neighbourhood and has been traditionally considered a ‘dangerous’ part of Amsterdam. 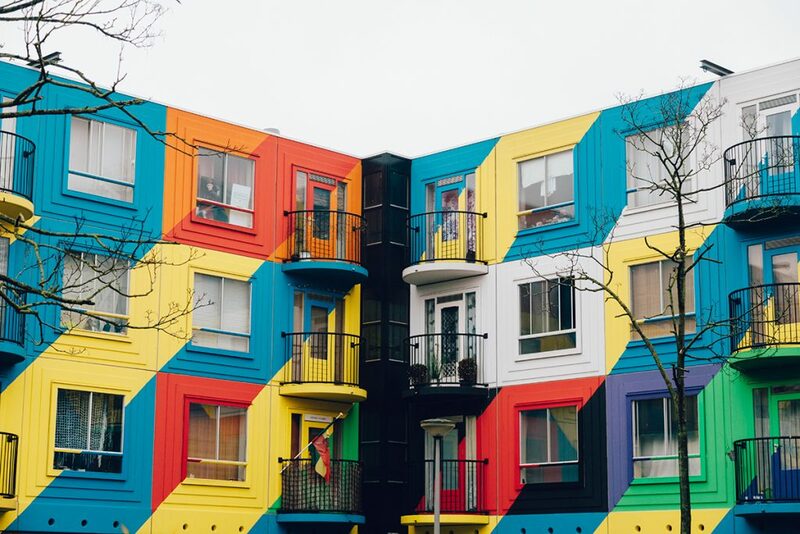 However, a large scale transformation pioneered by artists in 2010 began to change the perception of the neighbourhood and Bijlmer is now a creative living and working space with colourful murals on buildings and culturally diverse food, fashion and art on offer in the neighbourhood. 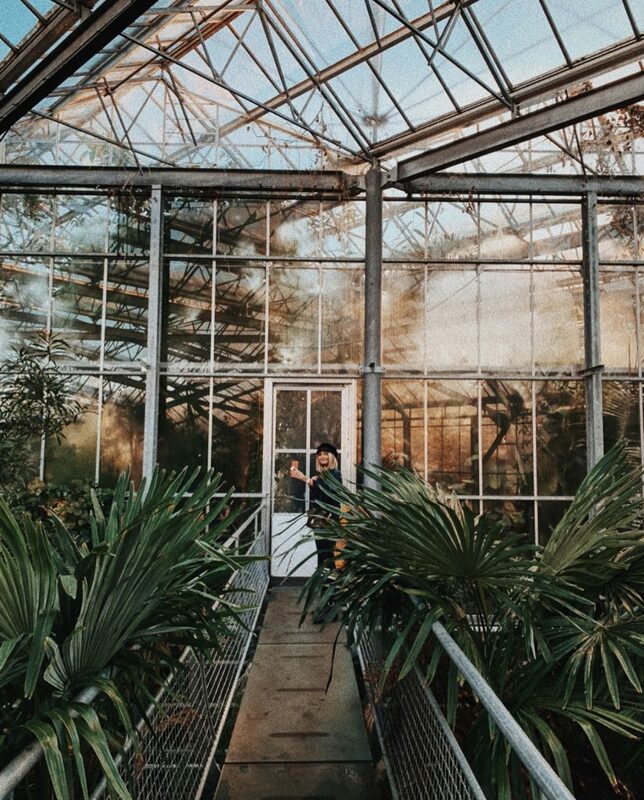 Hortus Botanicus in Amsterdam is one of the oldest botanical gardens in the world, dating back to 1638. It was originally ‘Hortus Medicus’, a herb garden with medicinal plants for doctors and pharmacists in the city, created because the cities of Leiden and Utrecht had a plague epidemic and the city municipality needed a specialised medical garden. The botanic garden moved to its current address in 1682 and already had a rich collection of plants from around the world, including Coffea Arabica. The garden today is home to over 6,000 different plants and you can also find a hothouse creating the conditions for three tropical climates. 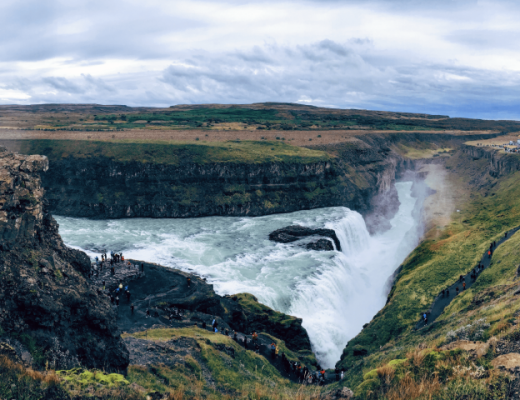 You can easily spend an entire day exploring and photographing here! Entry to the garden is €9 for adults and €5 for children and students. 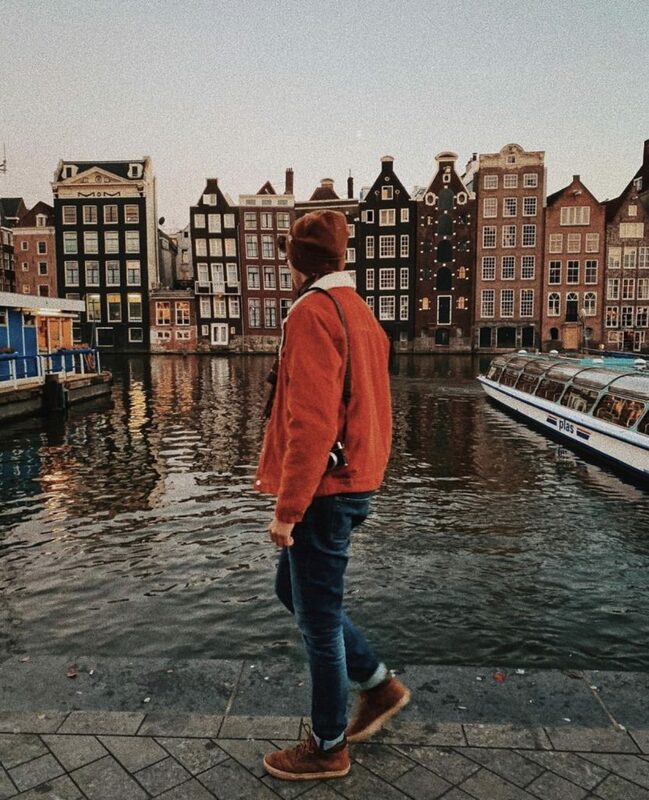 There are so many instagrammable places in the city – you just need to go down any street in Amsterdam and you’ll find something beautiful and photogenic! 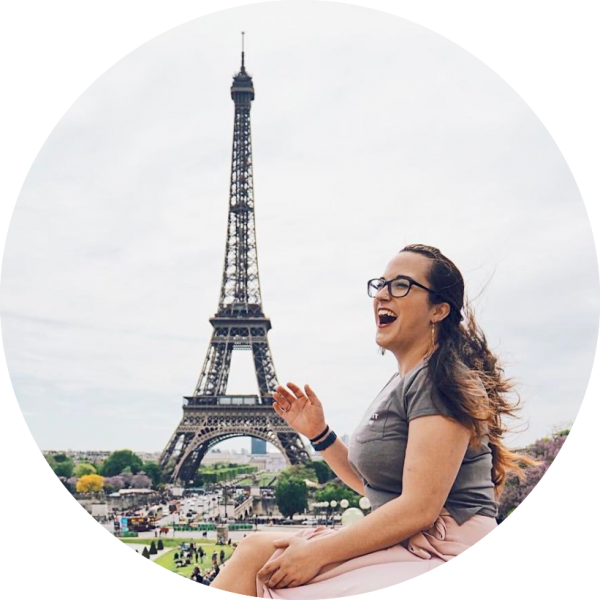 This is my personal round-up of the best photo spots in Amsterdam, I hope you’ve been inspired to get out in the city and explore! Have you visited Amsterdam? 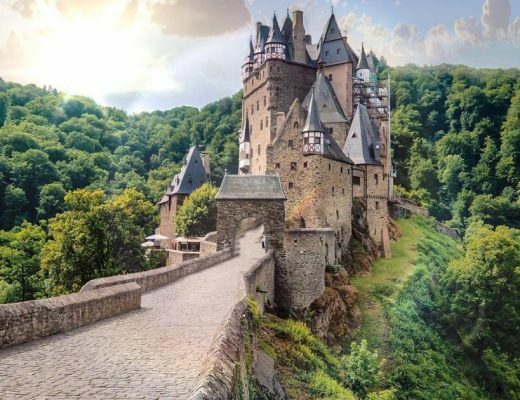 What are the most photogenic places you saw?